Whether you’re in town for a business conference or a visit to attractions like the Leinenkugel’s brewery, the Country Inn & Suites hotel in Chippewa Falls helps you feel at home with amenities like a free weekday evening snack and on-site laundry facilities. Spend some quality time with your kids at our heated indoor pool and hot tub, or enjoy a workout with complimentary passes to Highland Fitness. During your stay, you can upload photos of your adventures using free high-speed Internet access. Give your family a few extra minutes to sleep in while you linger over a cup of coffee at our complimentary, hot breakfast. Everyone can find something to love at our morning spread, from fresh waffles and fruit to a rotating selection of hot items. For lunch or dinner, head out to explore Chippewa Falls restaurants near our hotel, including the SandBar & Grill and Loopy's Grill & Saloon. 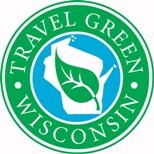 The Country Inn & Suites is the only hotel in Chippewa Falls to become Travel Green Wisconsin certified. This certification is based on nine different categories, such as air quality, waste reduction, energy efficiency and other environmentally friendly practices.